A few weeks ago, we looked at the issue of paying taxes on your retirement income. This week, our topic will be avoiding tax penalties. In life, if you break the rules, you can expect some sort of penalty. For example, if you drive on a highway at a speed above the posted limit, there’s a chance you’ll get a ticket. After all, those are not “suggested” speed limits—as I once thought. 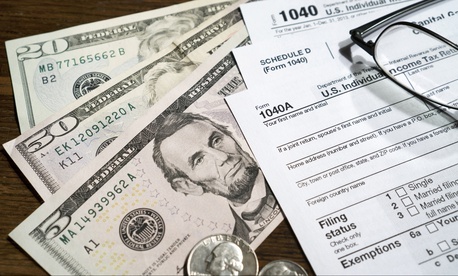 You can incur tax penalties on your federal benefits if you don’t follow the tax rules. So it’s important to know them, or you could end up with a higher tax bill than you were expecting. The tax penalties are summarized in the instructions for IRS Form 5329, “Additional Taxes on Qualified Plans (Including IRAs) and Other Tax-Favored Accounts.” This form is used to report taxes on a variety of tax-favored benefits, but for this week’s column, we’ll focus on penalties assessed on Thrift Savings Plan distributions (or the lack of distributions) for separated and retired employees. There are tax penalties both if you withdraw money from your TSP account too early and if you don’t begin to withdraw funds early enough. The early withdrawal tax penalty is 10 percent above the income tax due on the withdrawal and is generally assessed when people receive a taxable distribution prior to age 59 1/2. Federal employees are exempt from the penalty if they separate from federal service in the year they turn 55 (or 50 for retired public safety officers). There are additional exceptions from the penalty, which can be found in the TSP brochure titled “Important Tax Information About Payments From Your TSP Account.” For more information, see my previous column, TSP and Taxes, and this GovExec article. On the other end of the age spectrum, the IRS requires that TSP participants begin receiving a portion of the money in their accounts no later than April 1 of the year following the year the participant becomes age 70 ½ (and is separated from federal service). These are known as required minimum distributions. If a participant does not begin receiving payments or withdraw their account balance, then the TSP is required to make the RMD for the participant by April 1 of the following year. Be sure to keep your address current with the TSP if you move after retirement or after you leave federal service. If you are separated from federal employment, you can change your address online at the TSP website. You can also call the TSP’s ThriftLine at 877-968-3778. The participant reaches age 75 in 2018. As of December 31, 2017 (the last day of the calendar year immediately preceding the calendar year for which the required distribution will be made), the value of the participant’s TSP account was $229,000. … The expected distribution period (in years) for a 75-year-old individual would be 22.9, so the participant would divide $229,000 by 22.9. Through this calculation, the participant would determine that the calendar year 2018 would require a minimum distribution of $10,000. Another way to estimate the RMD is by using the TSP Retirement Income Calculator. The RMD amount can be found under the results tab for “TSP Monthly Payments” under the “Life Expectancy” column. For example, let’s say your account balance is $200,000 and you have separated from federal service and haven’t begun taking payments from your TSP account. You reached your 70th birthday in January and will turn 70 1/2 in July. You will need to make your election before next April. You may elect a partial distribution or monthly payments to satisfy the requirement. The initial monthly payment for this example would be $610.20 ($7,322.40 per year) if you indicate you would like to begin payments at age 70. If you didn't take an RMD or didn't take the entire amount required, the best advice, according to this article from Kiplinger's Personal Finance, is to take the RMD immediately. The IRS can waive part or all of the 50 percent penalty if you can show that any shortfall in distributions was due to reasonable error and that you're taking steps to remedy the situation. File IRS Form 5329, and attach a statement of explanation. Waivers typically are granted when people neglected to take distributions because of physical illness or dementia.